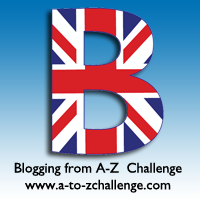 Today is the second day of the A-Z Blogging Challenge. The aim is to write a post for every day of the month except for Sundays, with each post representing a different letter of the alphabet. This year I’m doing an A-Z of Great Britain, covering as much as I can about British music, literature, TV and film, food, wildlife and culture. For the letter ‘B’ I have chosen British Bands. I’m going to cause controversy now by admitting that I’m not really a big fan of the Beatles. My tastes are a little more eclectic. The Electric Light Orchestra (ELO) were in a league all of their own as they were so different from most bands. Their sound is a mixture of rock music, 80s electro-pop and classical music! It sounds bizarre but trust me, they’re brilliant. My favourite ELO hits are ‘Mr. Blue Sky’ (never fails to cheer me up) and ‘Roll Over Beethoven’ (crazy fast violins). Incidentally, they are one of many awesome bands that originate from Birmingham, as well as Black Sabbath, Ocean Colour Scene and The Move. Coldplay have been around since 1996. They’ve sold more than 70 million records worldwide, won eight Brit Awards, five MTV Video Music Awards and seven Grammys! I love their mellow sound. My favourites are ‘Yellow’, ‘Speed of Sound’ and ‘Fix You’. This is a fun, indie band whose tracks are perfect for when you’re feeling a little rebellious. I love Alex Turner’s Yorkshire accent and the down-to-earth lyrics. My favourite track is ‘Mardy Bum’. For those outside of the UK, a ‘mardy bum’ is someone who is grumpy or always moaning. It’s a great track to put on when you’ve just had a fight with your partner and want to make up. T. Rex was a Glam Rock band from the 1970s-all platform boots and feather boas. Sadly Marc Bolan died in a car accident two weeks before his 30th birthday (only the good die young) but he left behind some catchy tunes and a unique voice that will always be remembered. I went to see a T. Rex tribute band called T.Rextasy recently and they were brilliant. I definitely recommend going to one of their gigs if you’re in the UK and a fan of glam rock. Were you familiar with any of these bands? What do you think of them? What are your favourite British bands? Great choices. Coldplay have done some amazing songs over the years. Yay, another ELO fan. The Beatles songs are iconic and The Rolling Stones are great. Thanks for visiting, Teresa. 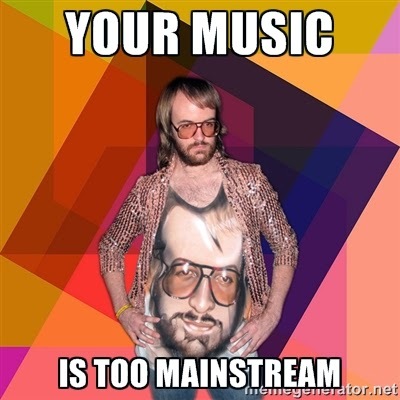 Ha ha, I would probably like some of your favourite music then. Love your choices. My musical taste gives my friends nosebleeds! !